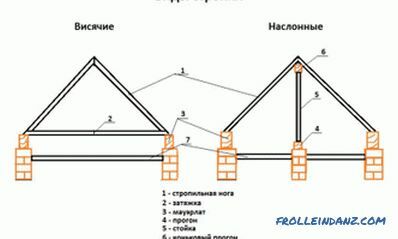 In order for the roof trusses to successfully unite into a single reliable and durable construction, you need to make a competent project and correctly perform all the necessary calculations. And the main parameter to which it is necessary to pay special attention at the preparatory stage is the section of the rafters. Most often rafters represent an ordinary wooden bar. The integrity and safety of not only the roof, but also of the entire building depends on the correctness of its choice. You can calculate the cross section using a special program, but it is best to do it manually. Independent individual calculation eliminates the possibility of error. 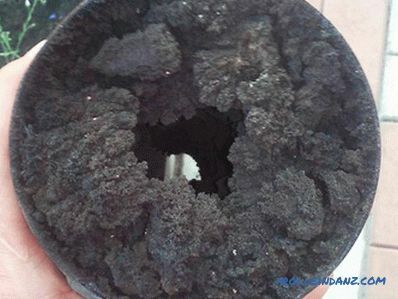 In the process of calculation, among other things, snow and wind loads for the region in question, features of thermal insulation and finishing are necessarily taken into account. What should be taken into account when choosing a section of material for rafters? The cross section of the beam is the main parameter of the truss system. It is up to the rafter section that the system will be able to withstand the weight of the roof structure. The total mass of roofing materials. The total weight of the planned interior decoration, including attic and attic spaces. Atmospheric effects on the roof of the building. A piece of paper and a pencil or pen. The shape of the truss truss. Snow loads, as well as wind loads for the region in question and other data affecting the calculation results. If you wish, you can assign this work to a specialist or use special programs. But for greater accuracy and in order to save the calculation is better to carry out independently. It takes just a few simple formulas. The complexity of the calculation and the formulas used directly depends on the complexity and size of the roof. In addition to the calculation of the rafters, due attention should be paid to the choice of timber for the arrangement of the system. The material must be of good quality. The maximum allowable moisture level of wood is 20%. Bars are pre-treated with a special solution that protects wooden structures from fire, rotting, spoilage by rodents and insects. 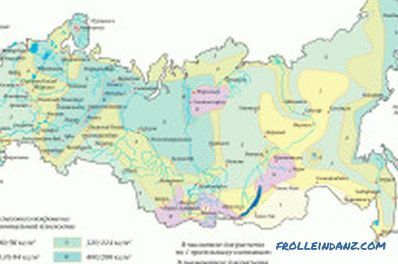 Map of snow loads in Russia. A bar used for arranging the truss system will be subject to constant and periodic loads. Under constant loads, you need to understand the weight of the truss structure, mounted crates, roofing cladding material, insulation, and other materials. The values ​​are calculated separately for each material used, and then the results are summarized. Temporary loads may have different frequency and be long, short-term and rare. Also allocate special loads, for example, earthquakes. Under short-term need to understand the snow and wind loads, the weight of people performing work on the roof, etc. Long-term are any loads that the structure undergoes for a certain time period. When performing the calculation of rafters, the snow load must be taken into account. It will vary depending on the region where the house is located. There are special approved tables that allow you to select specific data for your region. 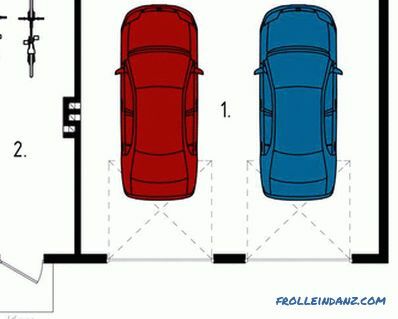 The calculation of the assumed snow loads is carried out using a simple formula, according to which you need to multiply the weight of snow per 1 m² of horizontal ground surface by a special factor reflecting the transition of snow load to horizontal (or sloping) roof . To determine the coefficient you need to know the slope of the roof. If the slope of the slope is 25 °, the coefficient is assumed to be 1. In the case of a slope of 25-60 °, a value of 0.7 is used. If the slope has a slope of more than 60 °, the coefficient should not be taken into account, since it will not have a significant impact on the cross section of the beam. To perform the most correct calculation of the rafters, the wind loads to which the house is subjected are always taken into account. They should not be underestimated.With insufficient stability of the design, the consequences may be the most unfavorable. To determine the average wind load, a special formula is applied, in accordance with which you need to multiply the standard wind load value (taken from special tables for a particular region) by the change in wind pressure varying with height above the ground. Also determined by the table from the directory. The tables are very informative and easy to use. There you can find values ​​for rivers, sea coasts, tundra, steppes and forest-steppes, and for urban areas with obstacles of different heights. In the process of calculations, it is also necessary to take into account the information on the direction of the wind movement, since with its oscillation the result obtained can also change significantly. The length of an individual leg. Step of installation of rafter legs. All sorts of significant atmospheric loads for a particular region. Section of wooden bars for the device Mauerlat - 10x10 cm, 15x10 cm, 15x15 cm. Diagonal endos, truss legs are made of wooden bars 20x10 cm. 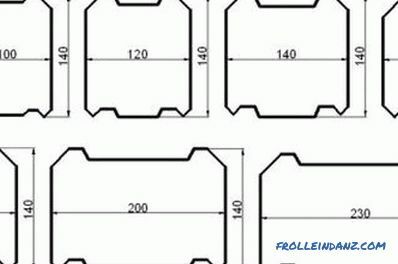 Section of products for the device runs, you can choose from 10x10 cm, 20x10 cm, 15x10 cm. Section of a wooden bar for mounting tightening - 15x5 cm. Section products for bolts - 15x10 cm, 20x10 cm. Section of bars for racks - 10x10 cm, 15x15 cm. Section of products for arranging a mare, eaves, struts - 15x5 cm. The total design load on the entire roof is 317 kg / m2. Regulatory load - 242 kg / m2. The slope of the slopes is 30 °. 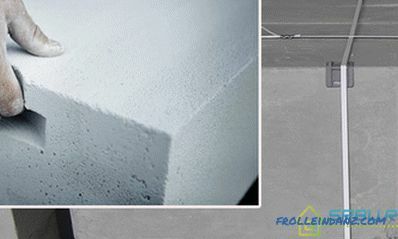 In the horizontal projection, one span has a length of 450 cm, consisting of sections of a length of 300 cm and 150 cm. Rafters are mounted in 80 cm steps. The bolts are fixed with bolts. Nails are undesirable, since they weaken the material. In the case of wood of the 2nd grade, the resistance will be equal to 0.8. With a weakened section, the bending resistance is 104 kg / m². The system load is calculated for each meter of running rafters. 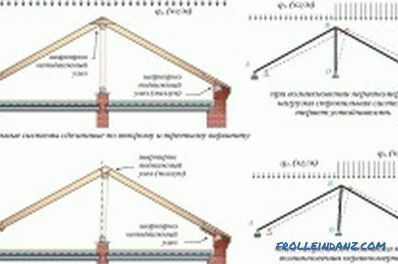 In this situation, it will be 0.8x317 = 254 and 0.8x242 = 194 kg / m.
In case the ramp has an angle of no more than 30 °, then the rafter system is classified as flexible. In this case, the highest bending moment is calculated as follows: 254x (33 + 1.53) / 8x (3 + 1.5) = - 215 kg / m.
The value used is -21500 kg / m. In this calculation, the "-" sign indicates that the bend acts in the opposite direction from the applied workload. Next, you need to determine the bending resistance moment for the rafters. To do this, divide 21,500 by 104. It turns out that the resistance will be 207 cm ³.
Rafters are most often made of wooden bars having a cross section with a width of 5 cm. To determine the necessary height of rafters with regard to the calculated data on resistance, do the following: divide 207 by 5, then multiply the data by 6 and extract from the square root value. For this example, the result of the calculation will be 16 cm. The planned height is 16 cm, and the cross section is 5 cm. 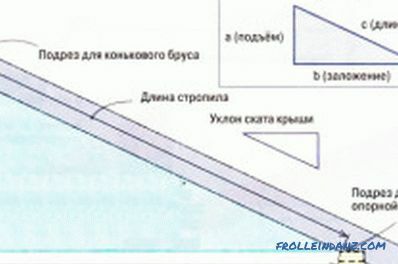 In accordance with GOST, the standard value corresponding to these parameters is a rafter with parameters of 17.5x5 cm. This value calculated for a span of 3 m.
You need to determine the inertia moment for the rafter foot. In this example, it is calculated as follows: 5x17.53 / 12. 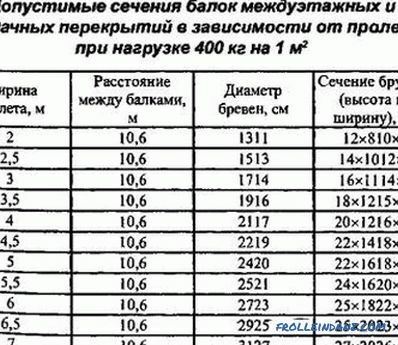 Simple calculations will give a value of 2233 cm³. After that, calculate the value for the deflection. For this example, you just need to divide 300 by 200. The calculation shows that the value for the deflection is 1.5 cm. Determine the deflection for the regulatory loads. The result of the calculation for this example is 1. Referring to the regulatory documentation, you will see that the calculated value is 1 cm less than the normative, which is 1.5 cm. That is, the section of 17.5 x 5 cm is chosen correctly, and you can safely use this material for arrangement of truss system of the roof. In order for the rafters system of your house to be as reliable as possible, and to safely carry all the expected loads, you need to make a correct calculation of the cross-section of the timber, which will serve as the main building material of the roof. The calculation is performed using a number of formulas and requires the use of special directories with approved regulatory indicators for a particular region. Snow loads, wind loads and other relevant indicators should be calculated. What are the sizes of lumber? 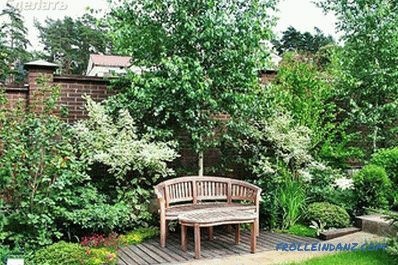 How are sawn softwood sizes standardized? What is the width and thickness of building boards and boards of coniferous wood is recommended in the list of values ​​of GOST. How is the wood beam calculated?